Sul Sul fellow simmers! 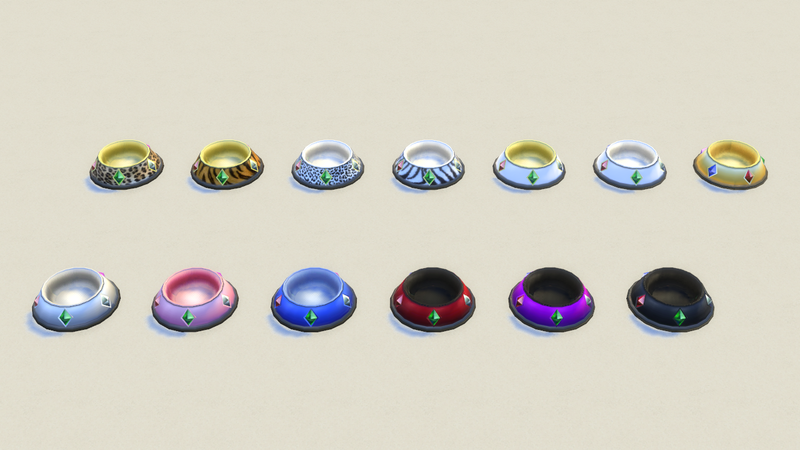 I have something special for you toda: my first conversion to The Sims 4. I always wanted to do stuff for The Sims 4, but I was mostly focused on The Sims 3 since it's the game I play the most. 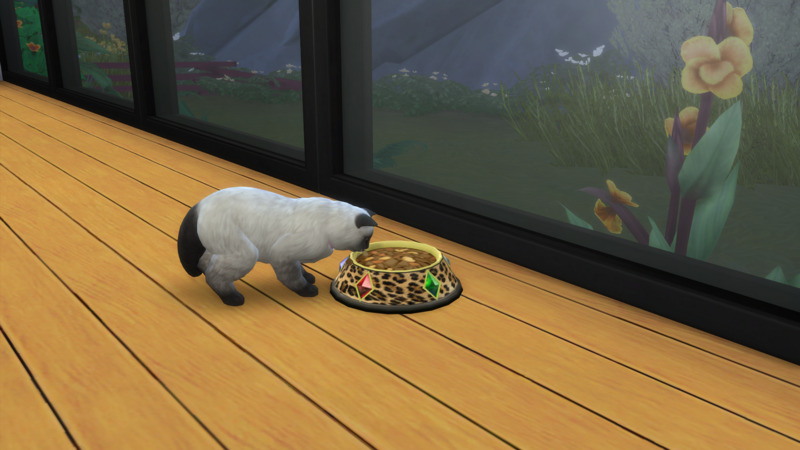 Cats and dogs in The Sims 4 are cool, but there's a very limited number of objects for them. 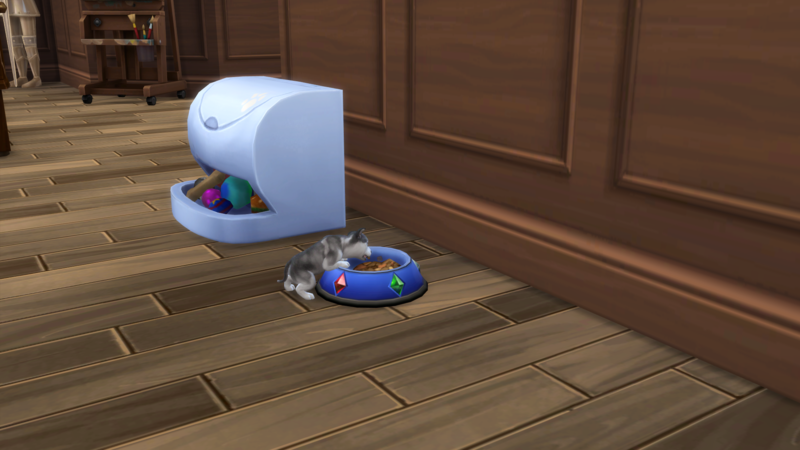 So I decided to check The Sims 2 and Pet Stories to decide what to convert for The Sims 4. 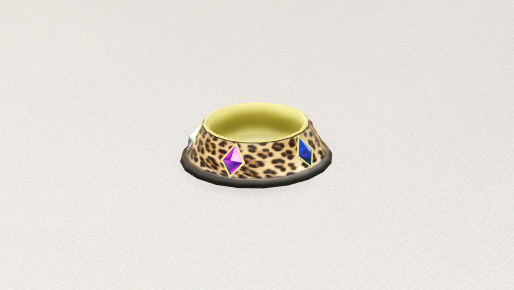 This Bejeweled Pet bowl from The Sims Pet Stories caught my eye instantly. Since the original object had a very small texture, no normal or specular map, and only one recolor, I spent a long time working on the textures to make it look as good as possible. The UV map was problematic (as it's the case with most objects from TS2-era) but I managed to fix it for the most part. There's a small seam in the bowl, but it's not very noticeable unless you zoom in really close. It includes all geostates (empty, half and full). 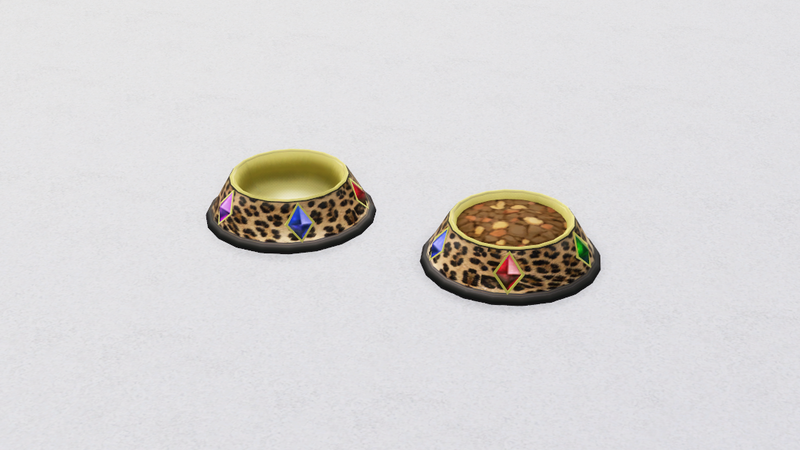 I edited the original texture to have a higher res animal print pattern. 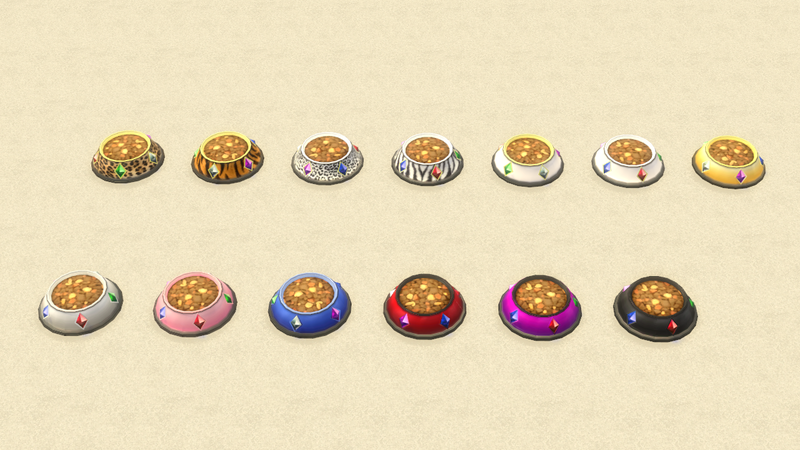 Since it was the ONLY texture Maxis made, I went ahead and made a dozen more swatches, including more animal print textures. - White leopard animal print. - White and gold plain. - Red and black gradient. - Purple and black gradient.